Puritanism was very influential in creating what is now seen as the western world, the problem is that there is very little agreement as to what puritanism actually was. this book explores several controversies concerning Puritanism, namely the relationship between puritanism and revolution, liberty, capitalism, millenarianism and reason. 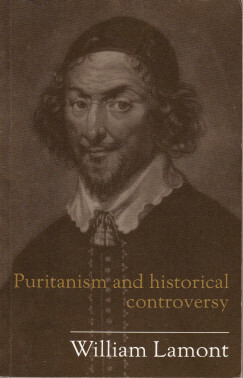 The book examines puritanism's relationship with these five areas through the eyes of three puritan divines, William Prynne, Lodowick Muggleton and Richard Baxter. William Lamont's recent book "Last Witnesses" includes all the interesting information on Muggletonianism contained in this volume and I have a problem in accepting that Muggleton was in fact a puritan, my personal feeling is that you have to be orthodox to be a puritan. Saying that it is very important to see Muggleonianism in the context of Puritanism and this book provides just such a background. On a side note you have to admire Prynne, to get your ears cropped twice is quite an achievement.